4.97 out of 5 based on 107 user ratings. I really wish I could give more than five stars...!!! SERIOUSLY! Everything about the process with Bridgeview was amazing. 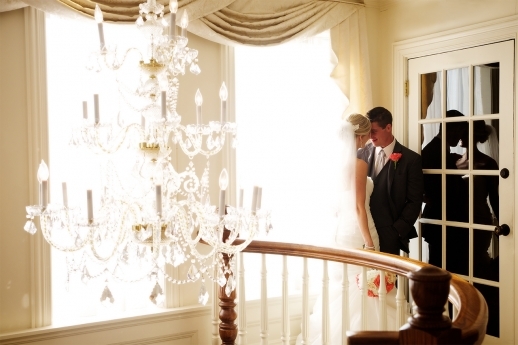 Our wedding coordinator Samantha was incredibly accessible and ready to answer every question imaginable. From start to finish, she was patient, knowledgeable, and pleasant. Bridgeview was super accommodating with our requests for decorations, and timeline. We did things a little differently, and they were totally receptive to that. The matire'd, Eric, was INCREDIBLE. He was my guiding hand, keep of time, and cooler of nerves. He has a stellar personality, and has a real talent for keeping things moving along. My bridal attendant, Laura, was awesome as well! She was ever-present, without being annoying--always ready to help me with my dress, with a drink, corralling all the little kids in our party. I received nothing but glowing compliments from every one of my guests. The place itself is gorgeous--spacious, clean, elegant. The combination of location and service is unparalleled. I cannot recommend Bridgeview enough!!! 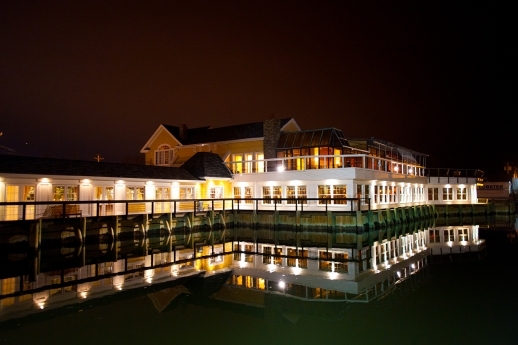 We couldn't have been more happy with Bridgeview Yacht Club as our reception venue choice. 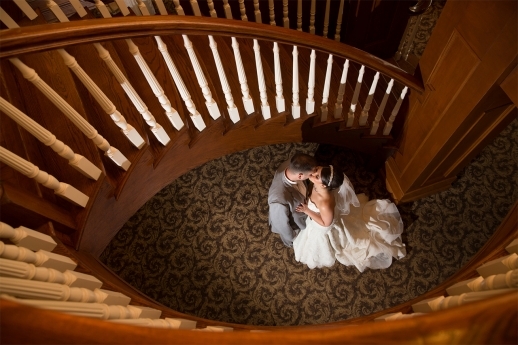 From the first meeting with Sam to the final emails before the wedding she was extremely responsive and helpful. The day of the wedding went so smoothly. The maitre'd, Eric, was awesome. If there was ever a problem or issue that came up he figured out a solution with the rest of our vendors (dj and photographers) and then would just fill us in on the plan so that we never even noticed when something went wrong. The bridal attendant Laura was so great as well. 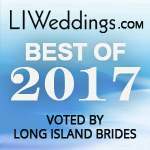 She was able to fix my maid of honor's dress in the middle of the reception when her strap completely ripped off. She made sure I didn't leave anything behind and kept track of my stuff and everyone in the wedding party's belongings. Not only did Eric and Laura cater to the bride and groom they checked up on the parents, maid of honor and best man throughout the night to make sure they had everything they needed. The food was amazing. We are still hearing about the BBQ station as well as the Coney Island station we had at the end. Everyone was able to leave at the end of the night with soft pretzels, fries, hot dogs etc.. and they loved it! We could not have asked for a better reception. It was absolutely perfect from beginning to end! 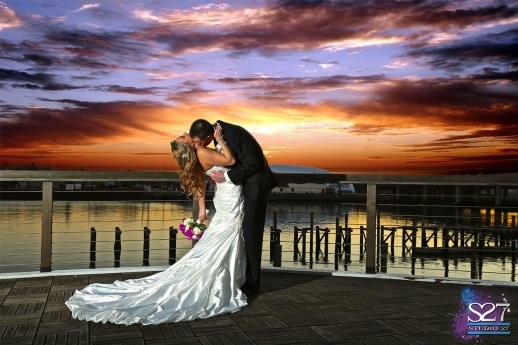 Bridgeview was a spectacular venue for our wedding! Everything about the entire day was stress free; we worked with Sam for the planning and then Eric the night of. All of the transitions and finer details worked out smoothly. The food was delicious and wait staff was superb. We have not a single complaint about the night. They truly outdid themselves. BONUS: Leftover food was sent home with family. 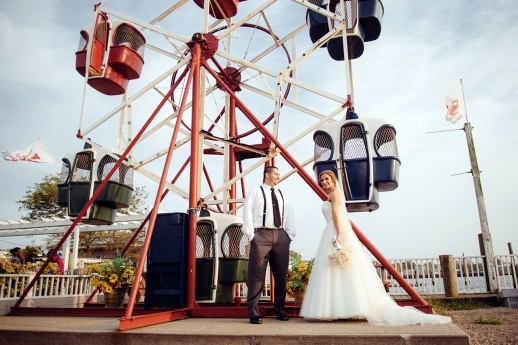 Bridgeview Yacht Club was the best decision we made for the entire affair! The food was amazing, cocktail hour was such a hit-people are still talking about it a month later! The people at Bridgeview were so wonderful with details, odd requests, issues, tending to everything it was amazing! The service and staff at BVYC are absolutely unparalleled. We worked with Jenn Savine as our sales manager and she was INCREDIBLE from the moment we met. 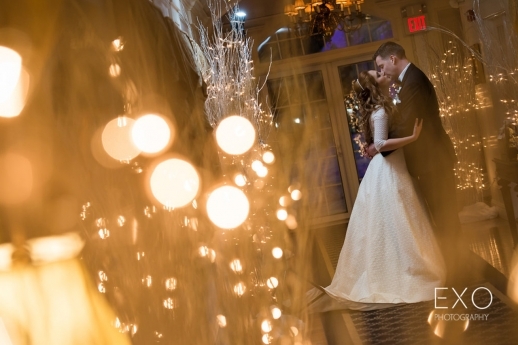 She understood our personalities and was able to work with us on every detail of our wedding – from helping us organize our to-do list, to assisting with “theme” ideas, and answering my random emails about signature drinks.. she made planning a breeze for us and was a pleasure to work with. Our maitre d was Eric and my bridal attendant was Kristen. They were on top of EVERYTHING. If anything went wrong, we still don’t know about it. We had a downpour that day and had to move our ceremony inside; we were disappointed at first, but when we saw how gorgeous the room looked we didn’t even care. In fact, our guests now faced the water which may have been even better! The changes were made so efficiently. Not a beat was missed with our timing and the evening went off as planned. The staff is phenomenal. Eric and Kristen were by our sides all night, very attentive and ready for any request. At one point I went to wipe sweat from my forehead (from dancing), but Eric jumped in with a handkerchief to pat it away so my makeup wouldn’t smear. I was blown away. They both made sure we were happy, comfortable, and fed all night. Even better, our moms raved about how often they were checked on too! As for the venue itself, the beautiful thing about BVYC is that it IS beautiful! We had minimal decor because it’s so elegant that we didn’t want to take away from it with too many items. Our guests RAVED about the food, ambience, and staff. 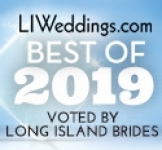 They were in awe of the venue and had lovely things to say about how well they were treated by everyone: “As though we were all part of the bridal party." The bottom line is that BVYC won’t steer you wrong and they TRULY have your best interest and best wedding at heart. Trust their expertise! I highly recommend BVYC and all 3 of these wonderful people who made our wedding dreams come true. 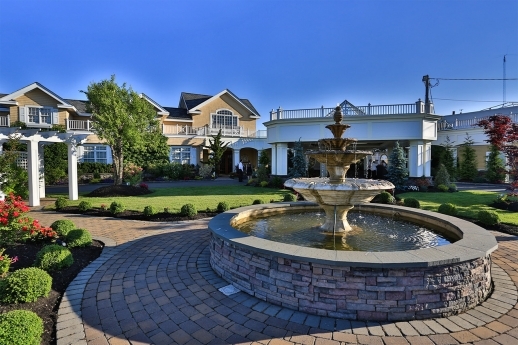 Exclusively yours... Bridgeview specializes in celebrating one wedding at a time in our elegant waterfront estate. 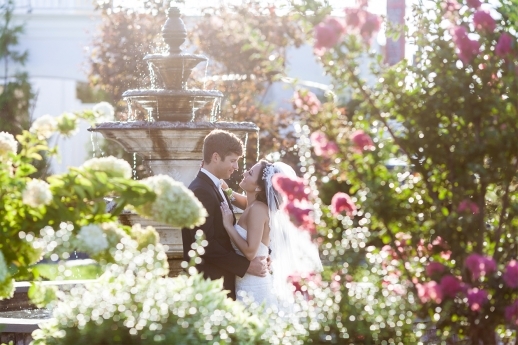 You and your guests will privately enjoy strolling through our lush gardens and spacious courtyards. 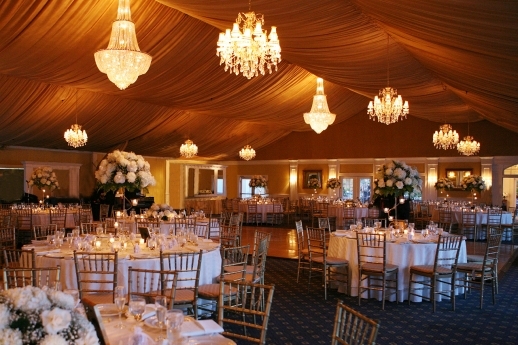 Our facility features a Nantucket styled cocktail room that precedes your reception in our majestic ballroom, all nestled dockside where you can enjoy the truly unique atmosphere that our waterfront offers. Our creative chefs will delight you with a variety of cuisines. From the owners and managers to our helpful wait staff you will enjoy the hospitality and personal attention that you deserve.